First we’re going to start by muddling the blueberries in our cups. 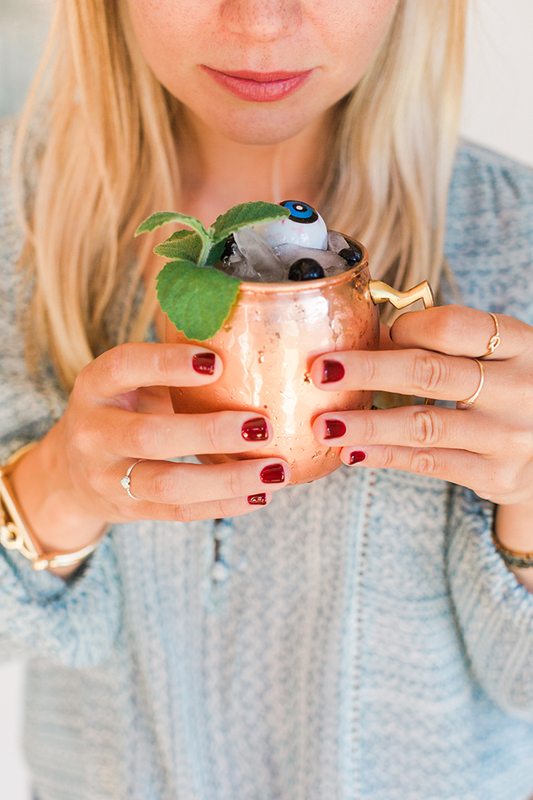 Pour about ½ a bottle of ginger beer into each Moscow Mule cup, then place about 10 berries into each cup. Using a pestle, crush the blueberries into the liquid until they are smashed and the juice of the berries is mixing with the ginger beer. If you don’t have a pestle, a fork or spoon should work as long as you can crush the berries with it. Then, pour about 1 shot of vodka into each glass (or more if you prefer stronger). Pour ginger beer into each cup until just about 2/3 full, and top off with the juice of half a lime in each. Stir until mixed thoroughly. Fill the remaining third of each glass with crushed ice. Add a sprig of mint, a lime wedge and a blueberry or two on top for garnish. 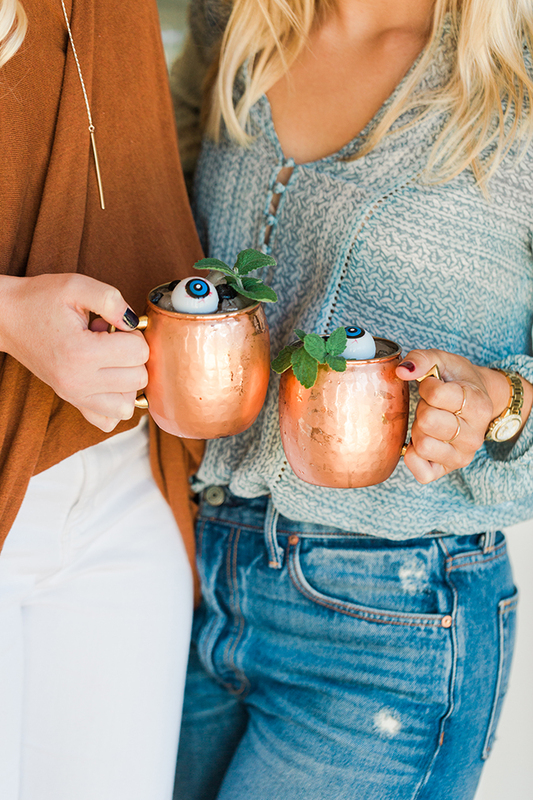 And don’t forget your spooky floating eyeball for the final BOO-berry effect! It’s scary how delicious this drink is. Get it? 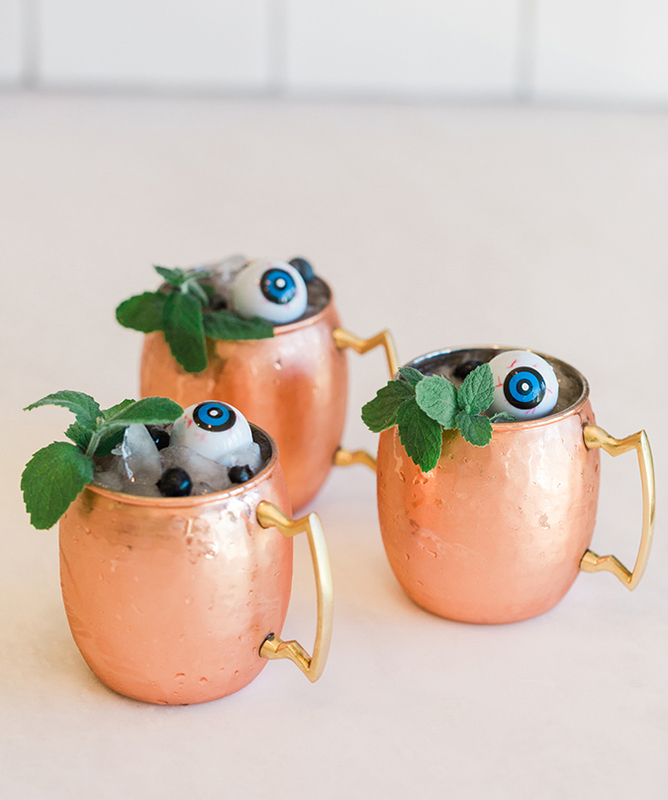 Will you give this cocktail recipe a try for your upcoming Halloween festivities? I highly recommend it… It’s simple as 1, BOO, 3!